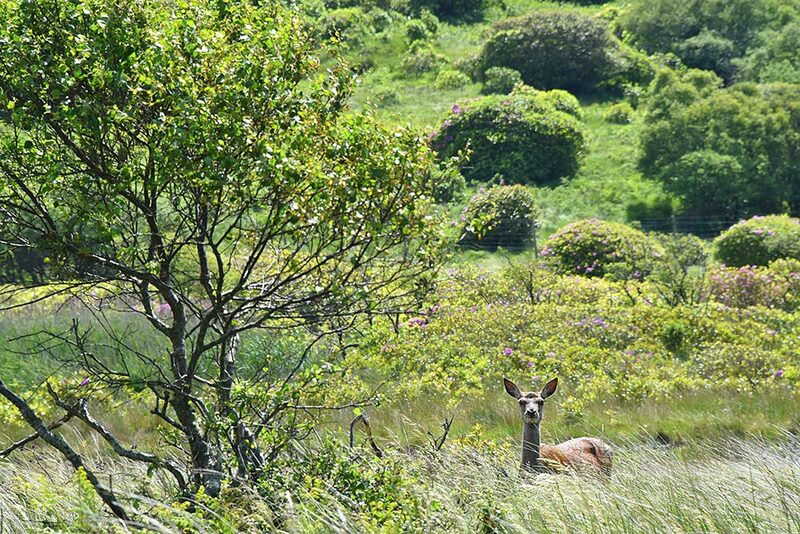 Carefully watching the photographer, a deer standing next to a small tree somewhere at the foot of Fairy Hill at the south coast of Islay. Soon after I took this picture it moved behind the tree. I think we spotted it somewhere along the road between Gruinart and Loch Gorm, but I’m not sure. 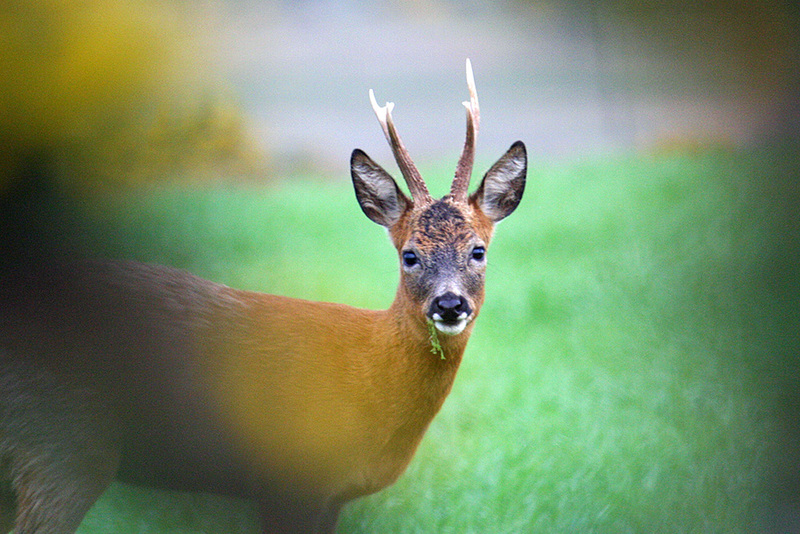 A deer behind some Gorse bushes on the side of the road. While it was with my camera I think my sister Imke might have taken the picture the day she arrived for one of her Islay visits a few years ago (so I’m filing this under guest pictures). Can you spot me? 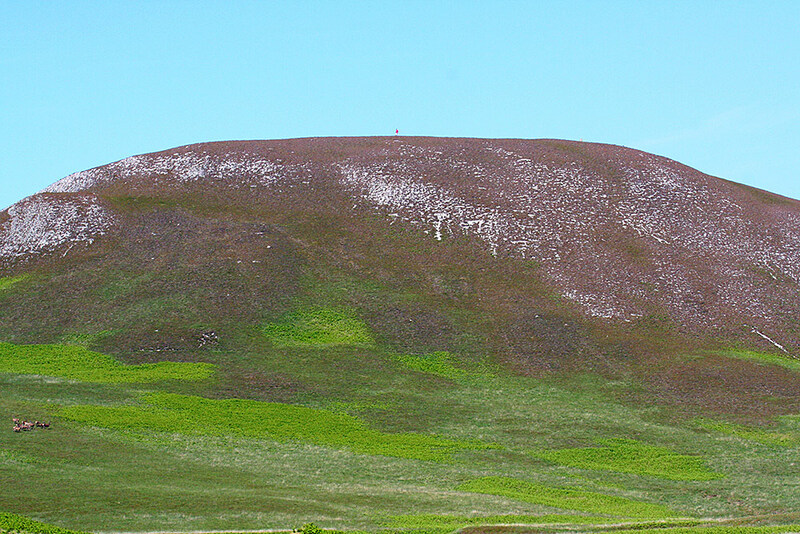 The tiny dot on the summit of Mala Bholsa, right in the centre, that’s me. Picture courtesy of my sister Imke. Also notice the deer on the left.